Diarrhea is a condition that describes loose, watery stool that may occur multiple times per day. Causes of diarrhea include a virus, reactions to medications, a side effect to medical treatments or because of medical conditions. Treatments for diarrhea include eating low fiber foods, increasing fluid intake and taking antidiarrheal medications. Your physician may also recommend including a supplement called psyllium husk. In addition to helping treat diarrhea, psyllium husk may cause adverse reactions or complications. Only use psyllium for diarrhea if advised by your doctor to do so. During bouts of diarrhea, taking psyllium husk may help slow down the frequency and severity of the condition. 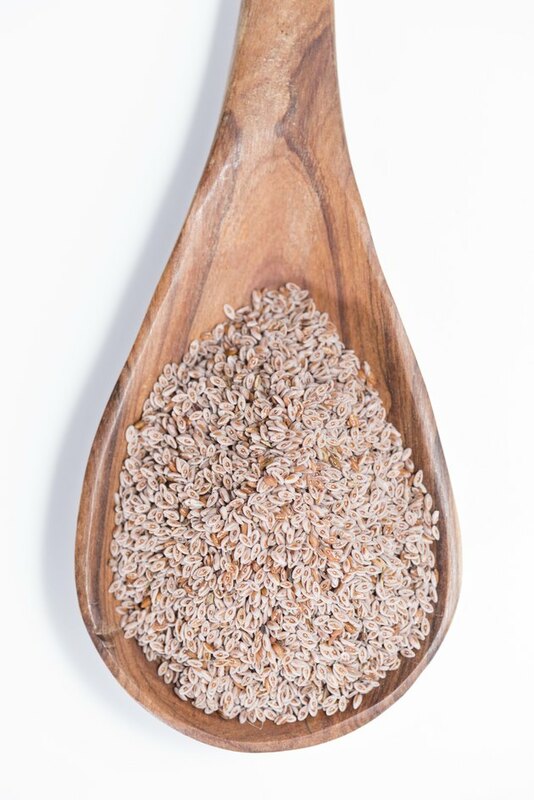 The psyllium husk helps slow the movements of the intestines to reduce bowel movements. Psyllium husk also absorbs excess liquid in the intestines and helps to add bulk to the stool. As with all medications and supplements, psyllium husk may cause adverse reactions. Possible side effects include difficulty swallowing, difficulty breathing, nausea, vomiting and stomach pain. Additional side effects include itching and a skin rash. Report any side effects to your doctor. Although psyllium husk may help bulk the stool and stop diarrhea, it may also cause constipation. Lifestyle changes such as regular exercise, a high-fiber diet, and drinking plenty of fluids -- 8 ounces for each 3 to 5 grams of psyllium husk -- may help prevent constipation while taking psyllium husk. If you take medication such as aspirin, digoxin, lithium, carbamazepine or nitrofurantoin, you need to wait several hours before taking psyllium husk in order to avoid absorption problems. Consult your physician to determine possible medication interactions. Psyllium husk may also lower blood pressure and blood sugar levels. Use psyllium husk cautiously if you suffer from blood pressure conditions or diabetes. Psyllium husk may be a habit-forming supplement and cause permanent damage to the intestines if taken for long periods, according to Drugs.com.